Product prices and availability are accurate as of 2019-04-18 04:39:17 UTC and are subject to change. Any price and availability information displayed on http://www.amazon.com/ at the time of purchase will apply to the purchase of this product. 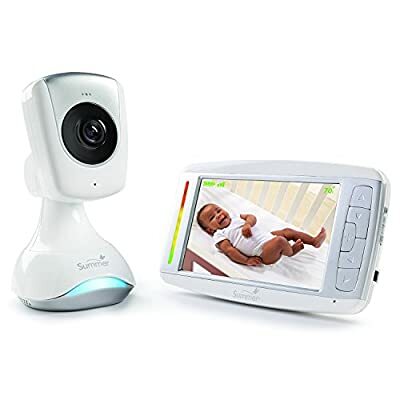 See your little one on this high definition monitor featuring a large 5" color LCD flat-screen and the best picture quality available in baby monitors - two-times the resolution of traditional baby monitors (800x480 vs 480x320). With a pan/scan/zoom HD camera, two-way communication, and temperature display, the Sharp View delivers the latest technology in baby monitor innovation.